I wonder why Nicolas Cage bought a place in Rhode Island of all places. But regardless, his place is for sale now if you'd like to purchase it. Actor Nicolas Cage is reportedly selling a Rhode Island estate that he purchased just a little over a year ago. Lila Delman Real Estate is listing the Gray Craig estate in Middletown for $15.9 million, which is about $200,000 more than Cage purchased it for in August 2007. The president of the real estate firm, Melanie Delman, told the Newport Daily News that the actor enjoyed his brief stay but his schedule did not allow him to spend as much time in the area as he had hoped. 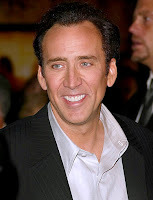 Cage had been spotted at some local eateries but did not appear at any public events. The 24,000-square-foot home near Sachuset Beach includes 12 bedrooms and 10 full bathrooms. It sits on 26 acres next to a wildlife sanctuary. Maybe it was a vacation home? 2 Response to "Nicolas Cage's House in RI For Sale"
Must be nice to be able to buy a Mansion in and never use it. $15.9 million isn't pocket change. Yeah, pretty amazing. I wikipedia'd Nic Cage and apparently he also owns a couple castles in Europe and an entire island near the Bahamas. With other properties like that, If i were him i probably wouldn't be living in RI either.